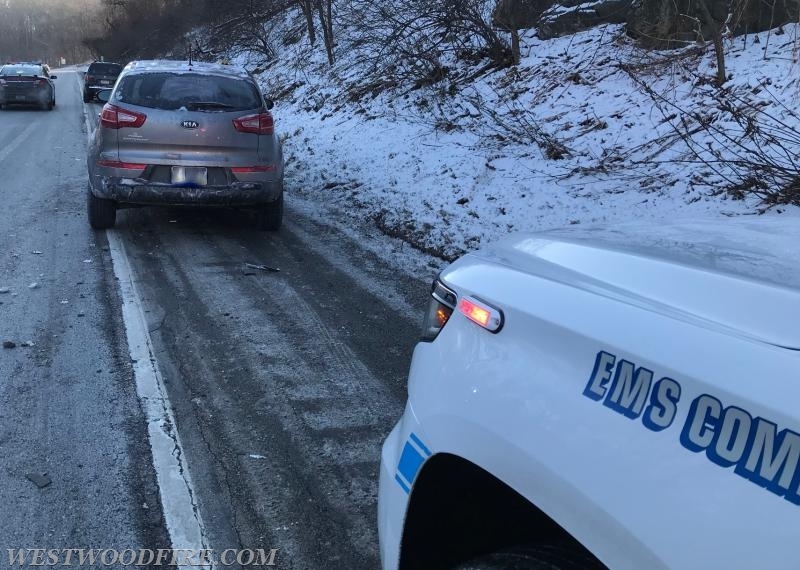 On January 18th, 2018 at 0759 the Westwood Fire Company and Washies EMS was dispatched to the Route 30 Bypass eastbound east of Route 82 for an auto accident. 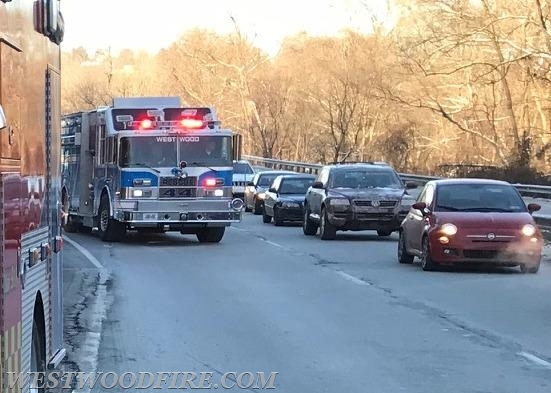 Rescue 44, Battalion 44 and Ambulance 41-4 all made the response. 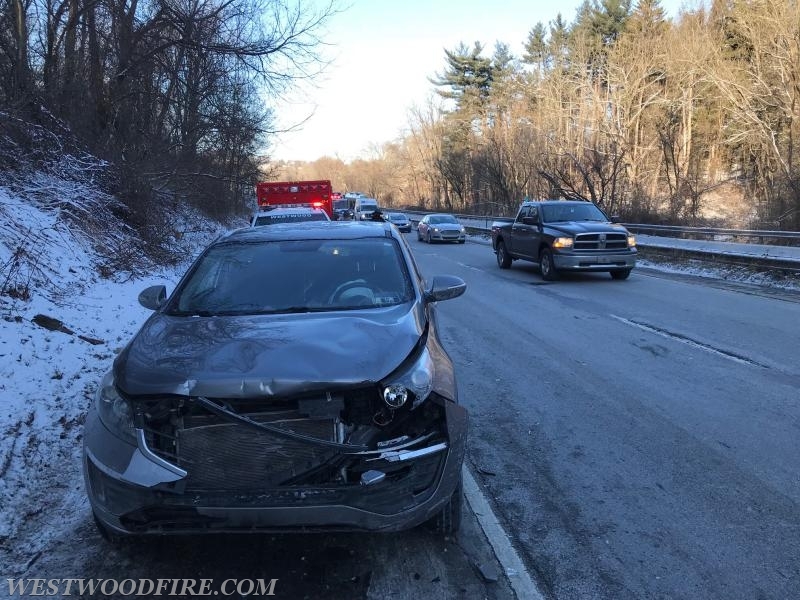 Arriving at 0805 Battalion Chief Sly reported a two vehicle accident off to the shoulder during the busy rush of the morning. Arriving at 0810, Rescue 44 took a position blocking oncoming traffic to protect the first responders. 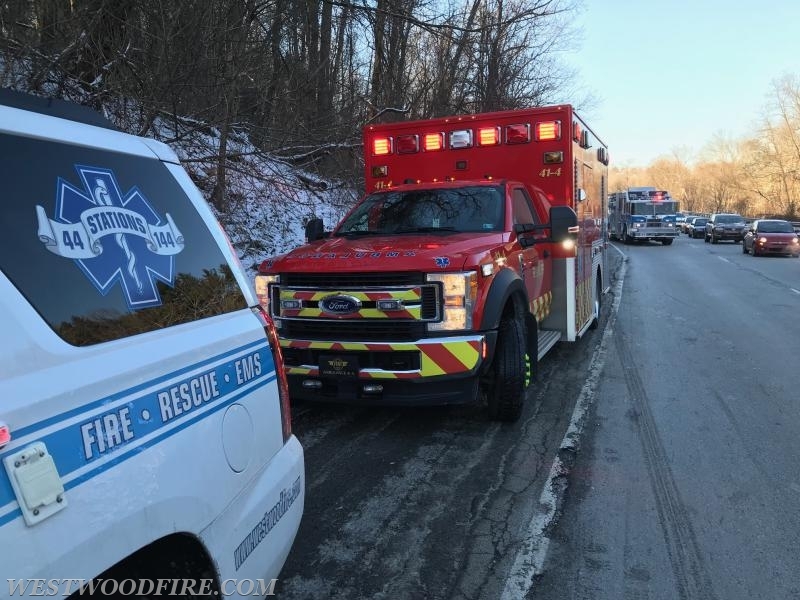 Ambulance 41-4 arrived and treated two patients and later transported. 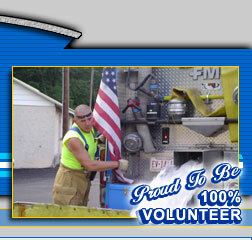 Rescue 44 and crew cleared the roadway of debris and traffic control around the scene. Westwood Fire operated on the scene for 30 minutes before being released.